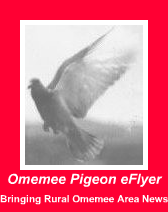 Omemee Pigeon eFlyer: "Cinnamon Girl" by Neil Young cover by John Entwistle! "Cinnamon Girl" by Neil Young cover by John Entwistle! Neil Young News,an unofficial news blog for Neil Young fans from Thrasher's Wheat offers concert and album updates, reviews, analysis, and other Rock & Roll ramblings. After yesterday's post on Tom Jones joining CSNY on "Long Time Gone" which blew some folk's minds (including ours), here's another surprise...... The Who's John Entwistle covering Neil Young's "Cinnamon Girl".This was a bonus track that on the CD release of Entwistle's solo album "Smash Your Head Against The Wall". The﻿ cover of the album is the first image you see on the video. Click here to Read the original article.